Samsung’s Galaxy S line of Android smartphones is the company’s most popular smartphone brand. This year is the 10th anniversary of Samsung’s first Galaxy S phone, and the company is celebrating their success with a major revamp to the lineup. With Samsung Unpacked 2019 coming up in a month, let’s go through all the leaks and rumors we’ve seen so far about the Galaxy S10 smartphones. Below is everything we know about all four Samsung Galaxy S10 models that will be launched this year, including the Samsung Galaxy S10e, the Galaxy S10, the Galaxy S10+, and the 5G Galaxy S10+. You can also watch our XDA TV video for another roundup of all these rumors and leaks. The design of the Galaxy S10 series is going to be similar to the Galaxy S9 and Galaxy S8, with two major exceptions being the front-facing camera and fingerprint scanner positions. The Galaxy S10 Lite will have a flat display that is rumored to be 5.8-inches with a single punch hole camera in the top right corner. The fingerprint scanner in the Galaxy S10 Lite is said to be embedded in the power button which is on the side of the phone. The “regular” Galaxy S10 is said to have a 6.1-inch curved display and an in-display ultrasonic fingerprint scanner. The Galaxy S10+ will have a 6.44-inch display with a punch hole design and an in-display ultrasonic fingerprint scanner. We were able to confirm that at least one model of the Galaxy S10 will include an in-display fingerprint scanner, but it’s possible that all higher-end models will have one. The Galaxy S10+ will have two cameras on the front, which means it’ll have a bigger display hole. 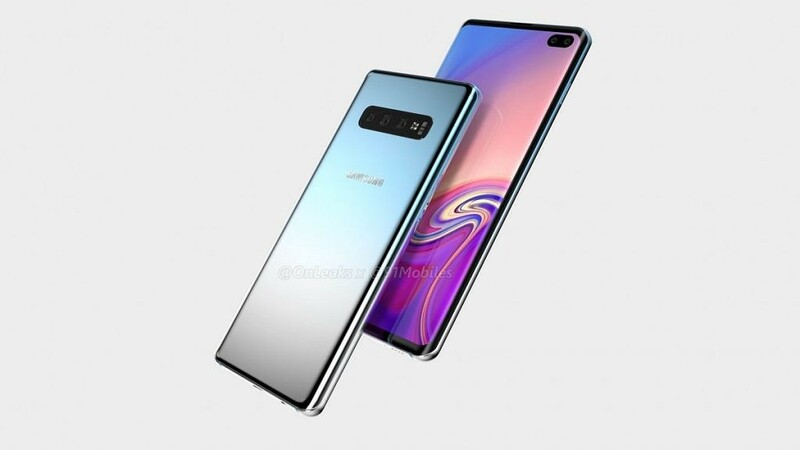 The Galaxy S10+ 5G model (code-name BeyondX) will have a 6.7-inch curved display, dual hole punch, an in-display ultrasonic fingerprint scanner, a quad camera system, and of course, support for 5G connectivity. The camera will be one of the biggest areas of improvement for Samsung this year. Samsung will be adding a third or even fourth camera to some models. The following rumored camera specifications come courtesy of All About Samsung. Although the report is dated July 2018, we haven’t found any new information that contradicts this report. The 2 main lenses, which will be on all four models, are the super wide-angle and wide-angle lens. The super wide-angle lens is going to be a 16MP sensor. Sadly, it won’t have OIS or Autofocus. It will have an aperture of f/1.9 and a 123-degree field of view. For comparison, both the LG V40 ThinQ and Huawei Mate 20 Pro offer 107-degree field of view. This means Samsung is going to have the largest field of view on any flagship smartphone. The next camera is simply called “wide angle,” but it is just a normal shooter like you would see on any single lens phone. It will be a 12MP sensor with an aperture of f/1.5 and f/2.4. It will use the same dual aperture technology as the Galaxy S9 and Galaxy Note 9. This lens will have autofocus and OIS. The telephoto lens will be on the Galaxy S10+, and we have confirmed that this device will have 3 cameras on the back. There are rumors that the regular Galaxy S10 will also have a triple camera system, but we don’t have any confirmation. If it does, this telephoto lens will be the same on the Galaxy S10+ and the Galaxy S10. It will be a 13MP sensor with an aperture of f/2.4. The Galaxy S10+ 5G will have a fourth camera sensor, but we don’t know anything about that sensor or lens yet. The camera software is supposed to be greatly improved. Samsung has worked on their HDR algorithm and it is said to be at the comparable quality as the Pixel 3‘s Google Camera HDR. The Galaxy S10 series will also come with a new stage lighting camera mode and Bright Night mode. The stage lighting will be the same as the iPhone and Xiaomi versions of it in that it will turn the background black instead of blurring it for portrait mode. Bright Night will be like Huawei’s night mode or the godly Night Sight from the Google Pixel. We aren’t sure how good it will be compared to the aforementioned implementations, though. The Galaxy S10+ 5G is rumored to also have two 3D Time of Flight sensors on the back and front of the device. The hole on the Galaxy S10+ 5G could be even bigger to fit this sensor. The only other smartphone with a 3D ToF sensor on the rear of the device is the Honor View20, though there’s no other device with a ToF sensor on both the front and the rear. This would not only allow for very accurate portrait mode shots and facial recognition features but will enhance 3D sensing camera features. The displays that will be used in the Galaxy S10 series of devices should all be WQHD+ Super AMOLED Infinity-O displays, judging from past history. The model number of the display could be S6E3HA9, something we discovered when digging in the Verizon Bolt 5G modem’s firmware. The reason we think this is the Galaxy S10 display is that the Galaxy Note 9 display’s build number is S6E3HA8. All four models will have a punch hole design in the top right corner. The S10+ and S10+ 5G will have more than one front-facing camera so their punch holes will be a bit wider. 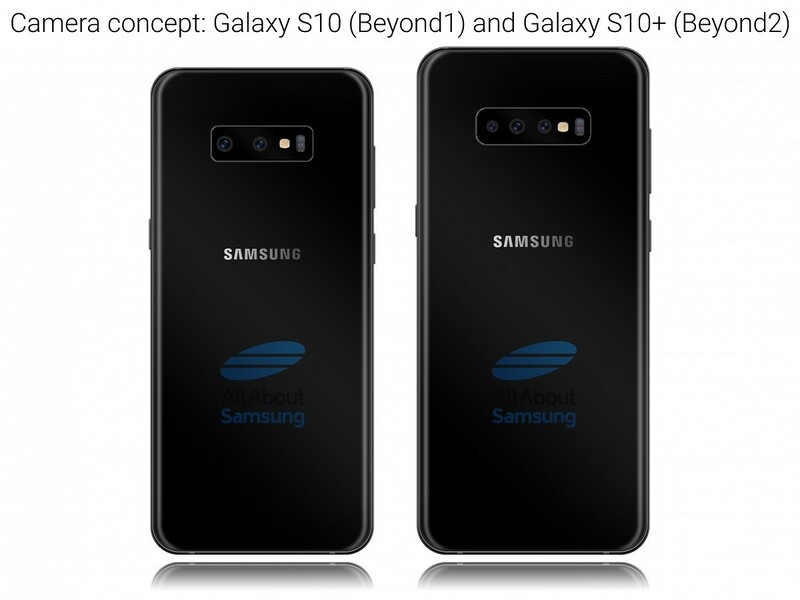 The S10 and S10 Lite will both be single punch hole designs. The S10 and S10 Lite’s punch holes may be slightly bigger than 6mm according to Max J from All About Samsung. This is about 2mm bigger in diameter than the punch hole display of the newly released Honor View20. The S10+ and S10+ 5G’s punch holes should be around 6x11mm or so. The bezel on the top of the phone will have all the sensors such as proximity and ambient light sensors. It will also contain the earpiece speaker. We can assume that it will be the same form of dual stereo speakers as the Galaxy S9 and Galaxy Note 9, but we don’t have confirmation yet. The side bezels will be very small and about the same size as the top while the chin will be slightly bigger than both the sides and top. The bezels will all be some of the smallest of any phone currently on the market. The Galaxy S10+ is going to run One UI (based on Android 9 Pie) out of the box. We aren’t sure about any new One UI features that will be found on the Galaxy S10 that aren’t already present on the stable updates released for the Galaxy S9 and Galaxy Note 9. 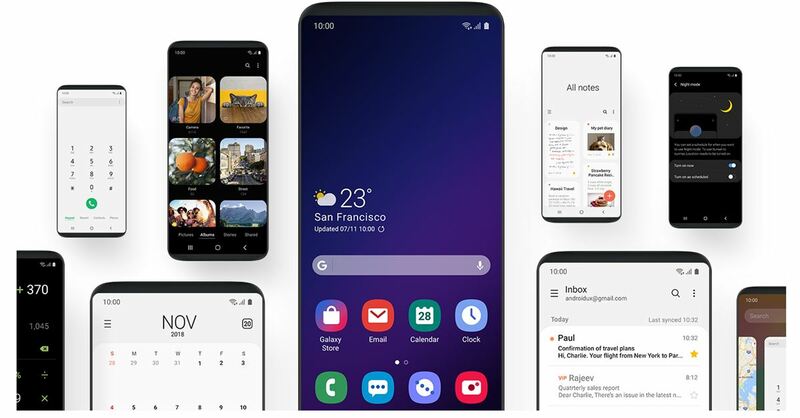 Thus, the One UI software on the Galaxy S10 should be very similar if not the same as the version running on the Galaxy S8, Galaxy Note 8, Galaxy S9, and Galaxy Note 9. It’s possible that Samsung will take advantage of the per-device accent color theming they showed off at the Samsung Developer Conference, though. The Galaxy S10 will come with a redesigned pair of the Samsung AKG earbuds. According to an industry source, the new earbuds are all black with a new AKG logo on the sides. We are not sure if they are going to sound any different than the previous model, but they will have a new design with a darker color. The USB power brick in the box will also be matte black this year instead of glossy black like in years past. The USB cable will be the same as years past, though. There are not that many rumors about the exact specifications of the devices, despite how many leaks we’ve seen of the design already. The table below shows what we know (or think we know) so far about the specifications of the Galaxy S10, Galaxy S10 Lite, Galaxy S10+ smartphones. This table is NOT official. This could change a lot when the device is launched. There has been a lot of controversy over the name of the smaller device. According to case company Velvet Caviar, the official name is the S10e. While not all of this information is official yet, we have managed to piece together a good amount of information about the devices. 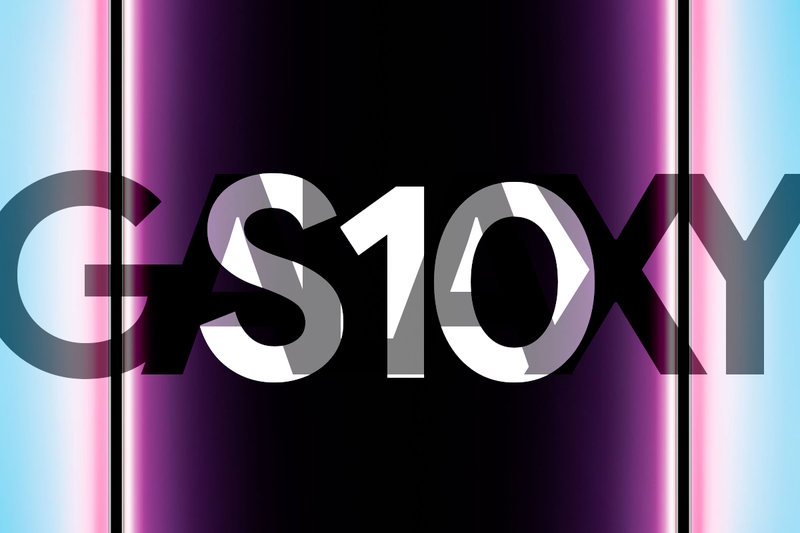 The Samsung Galaxy S10 series will get officially announced on February 20th in San Francisco at 11AM PST/2PM EST. These devices aim to impress this year and we are all excited to see what Samsung comes up with to keep Huawei and Apple on their toes. Keep an eye out here on the XDA Portal for more coverage on updated leaks and rumors for the Galaxy S10 Lite, Galaxy S10, Galaxy S10+, and Galaxy S10+ 5G.